I needed a washing line for my garden. So when a friend gave me an attractive chimney pot, I had an idea. I put bricks in the bottom to weigh it down then filled it to the top with earth and stones. It made the perfect base for an old rotary washing line I had lying around. 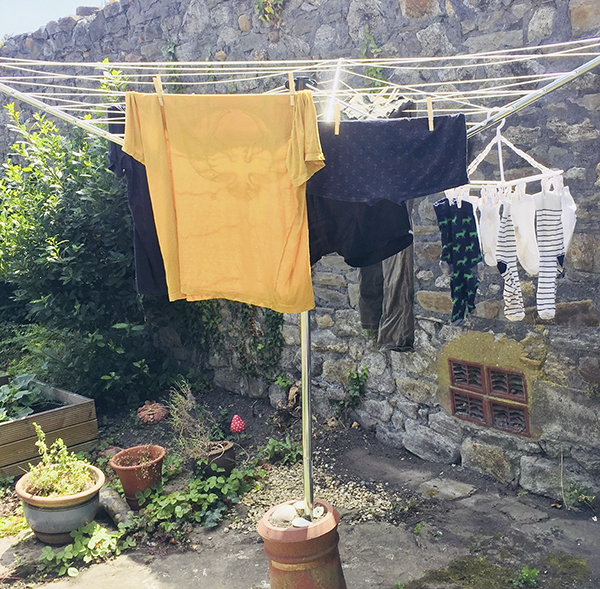 Now, when the sun is shining, I’m able to hang my washing out to dry.